Are armed and non-violent struggles mutually exclusive? willingness to democratize the country. In effect, they refrained from playing in a game whose rules are set by TPLF. On the contrary, thousands of Ethiopians joined opposition parties with high hope, and participated in elections from 1992 up until the infamous 2005 election. Unfortunately, when TPLF lost the 2005 election, it felt embarrassed. Reverted to rigging votes to stay in power. Refused to admit defeat. Killed hundreds of peaceful unarmed protesters, and jailed thousands including Kinjit leaders some of whom were my colleagues. What is more? Since 2005 election, TPLF has taken so many drastic measures to completely close all political spaces. Incapacitated opposition parties, arrested journalists and politicians, and forced numerous critics out of the country into exile. Put in place consecutive obstructive legislations through its rubber stamp parliament to restrain the participation of NGOs and community organizations in the democratization process. Ridiculously, it has charged young bloggers, professional journalists, and human rights activists as terrorists. While implementing these restrictive measures, TPLF disguised itself, at least to the outsiders, as democratically elected party in a multiparty system. Used a fake double-digit economic growth as its excuse to repress dissents. In short, the party had been a wolf in sheep’s clothing until recently. After utilizing all trickeries from its playbook, the Albanian style party ultimately became sick and tired of counterfeiting and lying to citizens and the international community. Lastly, TPLF did man up and dared to ‘officially’ close all opportunities for Ethiopians to express their voice peacefully. It said goodbye to a multiparty system. Without any shame, Woyane risked it all and declared 100 % win in the May 2015 election signaling that the country has ‘formally’ fall into North Korean one party rule. Rather than getting angry, many political analysts finally felt relief to witness TPLF got the courage to remove its sheep clothing to face the world with its true nature- a socialistic, apartheid style, one party dictatorial regime. The aforementioned key milestones in the past more than two decades clearly show how the political space in Ethiopia tightened through time, leaving no room to express dissenting views. Especially since 2005 election, many left the country and determined to pick arms in order to force TPLF negotiate with alternative democratic forces. They argued the end of peaceful and non-violent struggle in Ethiopia. Even if the writing was on the wall long time ago and it was in plain sight for everyone to see the end of peaceful struggle through ballot boxes, many opposition party leaders at home still think that there is, whatever remote the chances are and protracted the journey becomes, a chance to bring democracy, justice, and the rule of law in Ethiopia peacefully and through ballot boxes. We may not concur with those who still think that peaceful change is viable in today’s Ethiopia. Notwithstanding, my fellow countrymen and women, if we claim we fight for democracy, then, let’s respect their choice, and refrain from twisting their hands to believe otherwise. Nonetheless, I’m not implying that there shouldn’t be civil debate. The debate to convince them, however, should be in a civilized manner without throwing at them sarcastic comments and belittling their position. Who knows, days or weeks or months or some years from now, they too may reach the same conclusion many of us have already reached. Please let’s be patient. That being said about peaceful struggle, throughout the last ten years, I’ve been debating with some of my colleagues here in the Diaspora, who have been insisting that the only option left to bring positive change in Ethiopia before things are out of control is armed struggle. Unfortunately, as the year progresses, I keep losing strong arguments to convince my friends to give non-violent struggle one more chance. Ultimately, the evidences did stack against me and thus began to waver from my position. Accordingly, in recent years, I reached a decision that TPLF had closed all doors for civil and peaceful political engagements that those who picked arms are justified. Woyane proofed to its supporters and foes alike that it’s not interested any more to redirect our country toward reconciliation, national consensus, mutual respect, win-win partnership, and peaceful co-existence. It appears to me, the party has become suicidal. There is an old saying in Ethiopia that explains the state of mind of the dictatorial regime: “Ene Kemotku Serdo Aybkel”. I’ve to be honest here. Armed struggle is a high-risk high-reward venture that would cost the lives and infrastructure of this poor country, and that is why many of us have been debating that we should stick with non-violent struggle alone. Of course, who said non-violent struggle doesn’t cost lives and infrastructure? It does require sacrifices and temporary disruptions for a greater good. Around the world including in the US, some East European and Asian countries, thousands of people scarified so much while they were waging non-violent struggle. But when we compare the prices, armed struggle costs much more. It’s no brainer. Don’t get me wrong. Admitting that the cause of those who picked guns are justified doesn’t mean that the road to liberate Ethiopia using armed struggle is a piece of cake, and walking on a red carpet. Armed struggle is a protracted, bitter and, destructive journey. Besides, this route also faces some critical hurdles. The international political atmosphere doesn’t favor armed struggle as it used to during the cold war. The regime in Ethiopia could be able to win almost all of the neighboring countries to its side depriving armed groups waging battles at multiple fronts. Above all, how the journey ends is unpredictable. The simple question we all ask is “What happens when an armed group get ride of TPLF and takes power?” We can only assume, contemplate, and guess various scenarios. The million-dollar question is: Will the public have any meaningful say and role to determine the future of the country against a well-armed victorious group? It’s not a rocket science. We won’t have control, of course, unless all stakeholders deliberate ahead of the curve, and devise mechanisms to determine the outcome and make sure the transition is smooth leading to a democratic system where the people of Ethiopia have the final say who should lead them. I’m sure that many of you reading this article may remain skeptic about the above proposal. I don’t blame you. Our past paints an ugly picture. The majority of TPLF fighters sacrificed their lives believing that, at the end of the conflict, democracy, justice, equality, and the rule of law will reign in Ethiopia. Thousands of them paid the ultimate price hoping that the next generation would inherit a bright future. Look what has happened. A few selfish, shrewd, and arrogant took control of the political, economic, and military power, and pushed the rest including the very people they claim represent to further poverty, despair, and lack of freedom. Thousands are now leaving their beloved country even to war torn countries like Syria, and places like Libya where ISIS slaughtered 30 innocent Ethiopian immigrants. What I’m saying is that I’ve changed my positions. Yes, peaceful struggle and bringing change through elections are dead, thanks to the arrogance of TPLF. Not only that, given the current circumstances back home, people who opted to face off TPLF with the language it understands are vindicated to wage violent struggle. More than ever, more Ethiopians are convinced that the only way to humble TPLF is through armed struggle, and it’s understandable. Here is one recent case that further consolidated my belief that peaceful struggle is over. It was learned that TPLF refused peaceful demonstration requests from opposition political parties. The ruling junta rejected their demands to stage demonstration in the capital city on December 20 and again on the 27th, this coming Sunday. So far, the leaders of the parties haven’t pressed their requests and resolute to stage the peaceful demonstration regardless of the government’s refusal. Time will tell what is going to happen soon. Will the parties, understandably, call off the demonstration planned on December 27 2015, and by doing so put the last nail in the coffin of peaceful struggle? Or go ahead and defile TPLF’s order that violates both its own constitution, and Universal Declaration of Human Rights? It is too early to tell how this stalemate ends but many of us have been around the block for a very long time that we kind of predict the outcome considering the predictable leadership style of TPLF, and its pride. On the other hand, some of us may sympathize the leaders of the opposition parties if they back down, which otherwise, if pursued without permission would turn into blood bath. Many of us may still wonder and sarcastically ask, “What is the very purpose of requesting permission from a regime that doesn’t allow peaceful protest?” Why don’t they just go out and do it? Peaceful struggle doesn’t have to seek permission, we may insist. Some of us may not stop there. We may seriously question whether peaceful struggle is relevant any longer to bring democracy, justice, and freedom in current Ethiopia. These are fairly reasonable questions anybody who cares about its dear country asks. If you ask my position, the people of Ethiopia should have been allowed demonstrating peacefully without any permission, except notifying authorities ahead to plan for traffic and other security and logistic purposes. But the reality on the ground portrays a different truth where TPLF is not ready any time soon to let the people enjoy their inalienable rights such as expressing their grievances and disagreements of its policies peacefully. This leads me to conclude that peaceful struggle is dead. Is non-violent struggle futile and irrelevant in current Ethiopia? TPLF closed all doors, not just peaceful assembly and demonstrations, toward civil and peaceful political engagements, and forced many peace loving people to turn into upraising, protests, and still others to pick arms. There is no one who is responsible for the destruction of infrastructure of our poor country, and loss of precious lives except TPLF’s leadership. History will surely deal with the culprits. The question many democratic forces, who are desperate to see a real and sustainable change in the country, are asking now is whether the non-violent struggle is dead, and whether the focus should be solely on armed struggle? Yes, many activists decided that they don’t want to catch bullet in the head for simply expressing their disagreement against TPLF’s policies peacefully. They insist that they prefer to die while fighting, and therefore, decided to join the armed struggle. Recently, Reeyot Alemu, a heroin journalist popular among Ethiopians, gave an interview and surprised many of us when she declared that she joined the armed struggle. She revealed that she gave a serious thought about what she would do inside Ethiopia once she is released. The prognosis was dime, she acknowledged. She realized that if she writes, she would be thrown to jail. She believes that she should contribute more than just being ended up in prison for expressing her thoughts using her pens. She concluded that the remote chance that existed for journalists like her to do their job while she was in jail doesn’t exist any longer, and therefore, it leaves her no choice but to join the armed struggle. Who is responsible for driving decent people like Reeyot to take desperate measures? Do not look further. TPLF and its unwillingness to create a labeled field that permits peaceful citizens exercise their inalienable rights without fear of retaliation. It’s saddening to witness talented individuals like Reeyot are stifled and left no choice but to leave their country, robbing the nation enormous amount of untapped potentials. It’s depressive when one thinks of this kind of government that refuses to open some room for its citizens. It’s insane to watch a government of a developing nation that supposes to tap into every talent available driving the latter into rebellion putting their lives on the line. It breaks my heart when we Ethiopians for decades unable to deal our differences without turning to guns and killing each other. The government in power had a chance to change this trend. It could have allowed citizens lead a decent, peaceful, and civilized life, and in the end could have earned their trust, following, and respect. Regrettably, greed, power, revenge, arrogance, and shortsightedness blinded the TPLF’s leaders’ eyes. That is why I completely understand the frustration of many who have concluded that there is no chance for peaceful struggle though I’m not yet taking that trip with them. Because of my personal principle and also passion (you’re free to call me coward though :-), I made my mind long time ago to serve my country using my talent and gifting. What so ever brutal a regime becomes, I earnestly believe that it’s not for the best interest of the country, its people, and its future if all citizens become freedom fighters. All of us have unique talent, gift, experience, and passion that we should use to help the fight against dictatorship. For that matter, not all of us should come out public to oppose the regime. Wherever we are, even if it looks small, we should refuse to cooperate with evil. We should not give our mind and heart to its divisive schemes and faulty propagandas to create rift among ourselves. In short, we can still bring difference non-violently. I remain optimistic; time will tell if I change my mind in the future, that non-violent struggle should be added to the mix in the fight against repression. 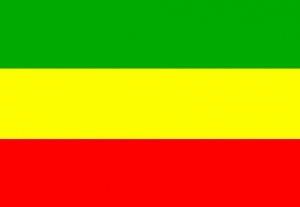 However, I’m respectful of the decision of those who lost hope against non-violent struggle, made their mind, and decided to join the armed struggle to liberate Ethiopia. My humble proposition, there is still a chance for the people back home to weaken or at least keep the regime at bay from inflicting further damages if they keep on engaging in non-violent struggle like they did in the past couple of weeks. Doing something is better than nothing. Just because peaceful struggle like staging peaceful demonstrations to express grievances and elections don’t work any longer under the current brutal government shouldn’t lead to a definitive conclusion of dormancy. Folding their hands and slip into hibernation is a shortsighted and fatal solution to a temporary setback. No question. Non-violent struggle is very powerful and it brought great results around the world. There are hundreds of alternative potent non-violent methods. Unfortunately, the leaders of the non-violent struggle either they are unaware of the full potential and possibilities for change using this method or constrained by the regime and/or lack resources to implement it full scale. Therefore, when I argue that non-violent struggle is still viable if and only if its leaders in Ethiopia employ multiple forms of non-violent struggle. The Diaspora has also a solemn responsibility to empower these leaders, and provide financial and material supports. Why do many people still optimistic about non-violent struggle? The recent students/farmers protest is part of the non-violent struggle. Protesters didn’t employ arms or targeted human lives. But for the first time, TPLF swallowed its pride and scrapped its plan to implement the Master Plan. This is a huge milestone that happened during the more than two decades egotistical and arrogant tenure of the ethnocentric regime. In the past, they never publicly withdrawn from their decisions and responded positively for the demands of protestors, even if in some cases they back off later silently. This movement humbled TPFL, to say the least. It also gave a marvelous lesson for Ethiopians that it is possible to shake the dictatorial regime by just blocking roads. This lesson will sure inspire many activists around the country to be creative and come up with other innovative ways to force the regime come to its senses, and listen the genuine demands of the great people of Ethiopia. This experience should force TPLF to reverse its self-destructive unilateral development plans, not just the Mater Plan, and other one party endorsed projects it has been implementing that don’t take into account the best interests of the majority and the next generation. If TPLF is wise, it got a last wake up call, and this window of opportunity may not present itself again. TPLF experienced a short-lived nightmare that showed it the glimpse of what would happen if it continues to pursue its destructive path that disregard the voices and counsel of Ethiopians. Somehow, not because TPLF was smarter or stronger, the protest calmed down and gave TPLF some breathing room. Of course, it may be in a dormant state and could explode again at any time. The indelible mark it had left was that this protest could have taken another turn and disposed the regime like that. This moment should bring TPLF to the table and discuss with key stakeholders to come up with holistic development plans, establish independent democratic institutions, and so on. It’s not too late. Admitting failures and taking corrective measures is not a sign of stupidity. Only competent and humble leaders take responsibilities for their failure and change course. Will TPLF use the recent protests as teachable moments or pursue revenge? I’m not naive, by the way. Rather than using this occasion as a teachable moment, TPLF may take this juncture in our history as embarrassing, and take overt and secretive revenge acts to punish those who resisted its dictatorial rule. We saw it in the past. TPLF held grudge against the whole Amhara ethnic group while they were guerrilla fighters. They were bitter then, remained the same even if they came to the helm of power in 1991. If they were true leaders, they would have let go of whatever grudge they had, and brought the country together and led us to our Canaan, the promise land. Rather than pursuing ethnic politics and emphasizing on what makes us different, they would have brought us together based on what makes us united. Sadly, they committed gross genocide and destroyed the lives and destiny of innocent ordinary Amharas indiscriminately. After the 2005 national election defeat, TPLF did it again. They came up with different devious plans to avenge those who casted their votes for opposition parties. My suspicion is that for TPLF leaders, forgiveness, tolerance, reconciliation, and the likes are signs of weaknesses. Please stop and self examine. Study history. Only wise and confident leaders forgive, and accommodate the demands and needs of others. Only the weak harbor in bitterness, the strong forgives. What I am saying is that it’s possible that TPLF may not have the ball to turn this setback into opportunity and reconcile with the people it claims leading. It may fail the true test of wise leadership. This is a possibility, and at this stage, we don’t have any knowing ability except to wait and see how it turns out. Enough blaming TPLF’s leadership; let’s also take some responsibilities. I must admit that if there wasn’t a leadership gap, and if there were coordination of efforts among oppositions, and other alternative democratic forces, the recent protest would have been taken to the next level, and could have led to regime change. Or it would have caused TPLF unable to govern and force it to allow the formation of a transitional government. Or at least, it could have brought major political changes such as TPLF sharing power. In this regard, a while ago, I wrote an opinion piece posted on some Diaspora forums and opinion pages on how we could have turned the recent protest into a lasting victory by taping into multiple options and creating more than one front. Unfortunately, it was a missed opportunity, not because TPLF was invincible but we were unprepared, and lack of alternative strategic plans and contingencies in response to TPLF’s counter actions that easily silenced the protest. It hasn’t been due to TPLF’s sophistication that it has been defeating any major attempt that resisted its Apartheid style rule for more than two decades. It just employs a few same old same old offensives. This time too TPLF did it again. Have we learned some lessons from this episode in our history? Are we ready to regroup and perform better next time when an opportunity presents itself? Even better, are we proactive enough to create our own wave as we move forward and bring TPLF to its knees or, at least, to the negotiation table? It’s up to us who claim we are progressive alternative democratic forces both within and out side of the country. We have control over this unless we, mostly unconsciously, return back to complacency once the buzz dies. Unless we are willing to repeat the same mistake again and again and expect a better result. I kindly ask all parties regardless of the methods of their choice to create some room for those who may have different approaches and contributions to bring lasting change in Ethiopia that benefits its entire population regardless of their ethnic, religious, and political affiliations. We don’t have a choice. We all Ethiopians irrespective of our difference should continue demand justice, democracy, and the rule of law in Ethiopia. Nonetheless, we should employ holistic approaches to bring this change. One thing we should avoid is reaching conclusion that one form of struggle doesn’t work any longer and condemn those who employs that method. If we claim that TPLF is undemocratic and we are better and working toward the reign of democracy, we should practice what we preach. We should allow people to make their own choice on how to bring change in their country. That is to say, peaceful struggle may be over but non-violent struggle is still viable to create positive changes in Ethiopia. We should not reach a decision and dismiss the potential of this method. Like every other method, it has pros and cons. By the same token, people who are adamant believers of the non-violent struggle should refrain from criticizing those Ethiopians who reached conclusion that in today’s Ethiopia there is no chance to bring enduring change through non-violent struggle. Both sides should respect the decision of the other camp. Let’s stop concluding that what the other camp does is false hope. It’s self-defeating, and only benefits TPLF. What I am arguing is that non-violent struggle isn’t yet futile. Even if regular elections served the ruling junta, and the regime is denying permission for peaceful demonstrations, non-violent struggle (in its full scope) has a part to play, as we have noticed from the recent upraising. If the leadership gap is bridged and key stakeholders take proactive steps in the future to come up with creative strategies, alternatives, and contingencies to outsmart TPLF, similar protests in the future could bear better and durable results that fasten the demise of the evil and divisive rule of TPLF. I would have proposed that the two camps collaborate and work together. Unfortunately, those oppositions back home who are waging non-violent struggle would be victimized as collaborators of terrorism if they overtly work with those who are pursuing armed struggle. Still, however, they should reach unwritten silent understanding to pursue their own way of struggle without discrediting what others are doing from outside. The two camps are not mutually exclusive. We don’t need to put all of our eggs in one basket. A regime like TPLF should be confronted at many fronts, and protests like the recent ones are vital to fasten the change we all aspire to see in Ethiopia. What is important is that all parties, regardless of the methods they employ, should create synergy and if possible establish partnership to achieve the common goal- to see a democratic, free, and just Ethiopia.